Prominent & Leading Importer from New Delhi, we offer electric fryer, gas deep fat fryer, gas deep fryer, 1-tank 1-basket electric fryer, 1 tank 1 basket electric fryer (12ltr) and 1 tank 1 basket electric fryer (6ltr). 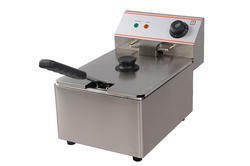 We are offering Electric Fryer to our clients. 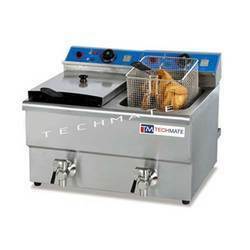 Techmate Industries is the leading supplier of Electric Deep Fat Fryer. 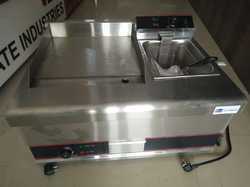 We are offering Gas Deep Fryer to our clients. 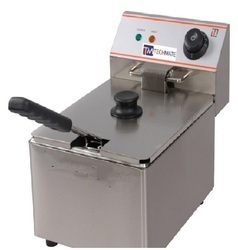 We are the leading and prominent Manufacturer, Exporter and Importer 1-Tank 1-Basket Electric Fryer. 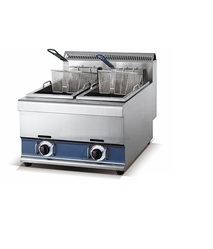 We are the leading and prominent Manufacturer, Exporter and Importer 1 Tank 1 Basket Electric Fryer (12ltr). We are the leading and prominent Manufacturer, Exporter and Importer 1 Tank 1 Basket Electric Fryer (6ltr). We are the leading and prominent Manufacturer, Exporter and Importer 1 Tank 1 Basket Electric Fryer (8ltr). 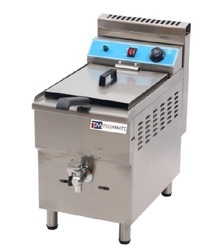 We are the leading and prominent Manufacturer, Exporter and Importer 2 Tank 2 Basket Electric Fryer(6L-2). 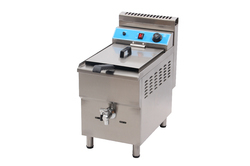 We are the leading and prominent Manufacturer, Exporter and Importer 2 Tank 2 Basket Electric Fryer (8L-2). We are the leading and prominent Manufacturer, Exporter and Importer 2 Tank 2 Basket Gas Fryer (8L-2). 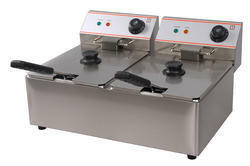 We are offering Tap Electric Fryer to our clients. 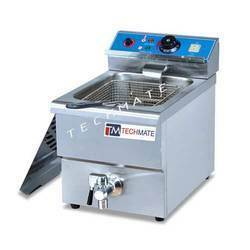 We are offering Electric Gas Fryer to our clients. We are the leading and prominent Manufacturer, Exporter and Importer 1-Tank 1-Basket Gas Fryer(18 L). We are the leading and prominent Manufacturer, Exporter and Importer 1 Tank 1 Basket Electric Fryer (18ltr). We are the leading and prominent Manufacturer, Exporter and Importer 1-Tank 1-Basket Gas Fryer(8 L). 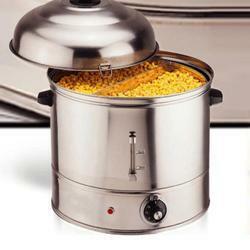 Techmate's Best Quality.....Sweet Corn Steamer, Sweet Corn Warmer, Sweet Corn Machine.Capacity: 48 Ltrs.